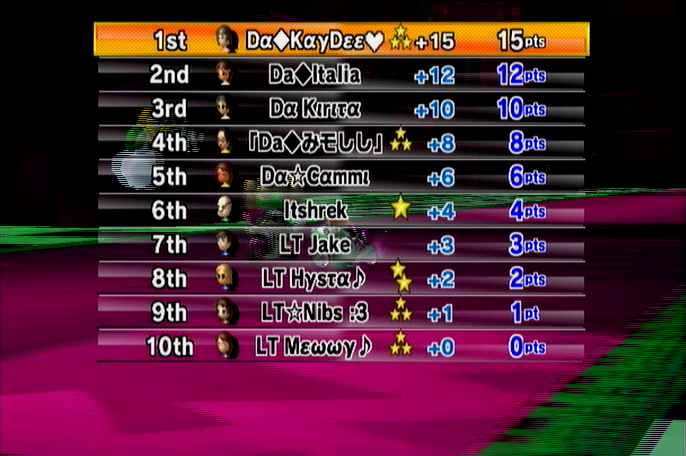 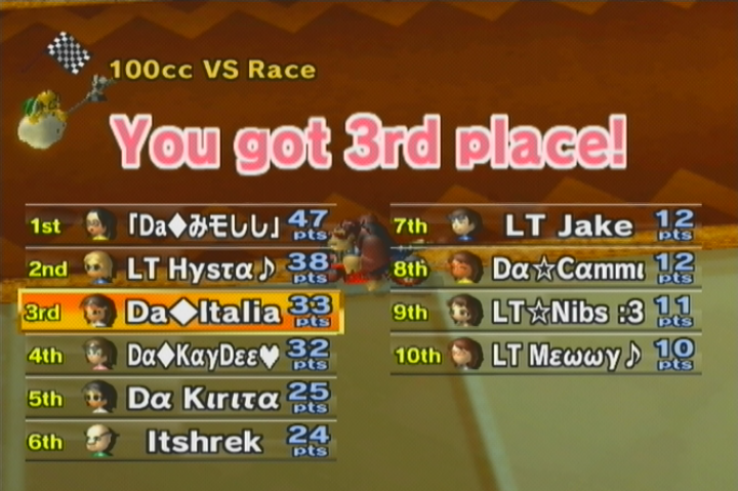 -We top 5'ed GP1, race 1 on N64 Bowser's Castle! 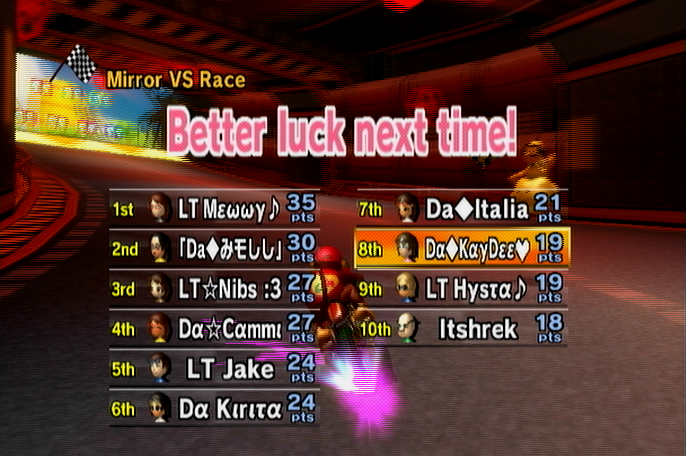 -Anti-Cheat went off for Katie and we had no other backup pictures for GP2 so we used her picture then took points off her score until the GP totaled to the correct value. 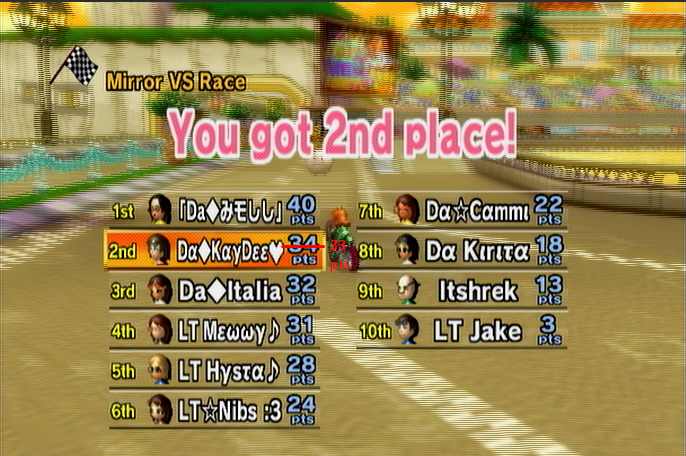 -Would've won by a lot more but Shelly indiv's very hard YET AGAIN.